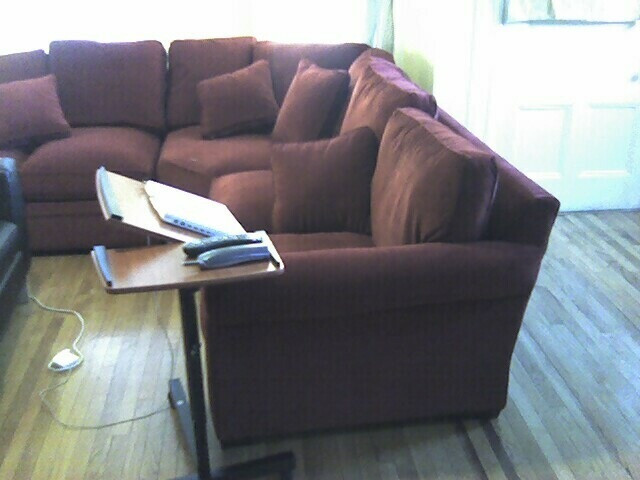 Yonked :: Diary of a New Home: The couch has arrived! And it's very comfortable. The couch has arrived! And it's very comfortable. I spent some time today waiting for the couch to arrive from Crate and Barrel. It arrived 15 minutes before the window of time they gave me, they put it in fast and efficiently, and amazingly enough it fit PERFECTLY in the spot associated for it-- even better than we had expected. I've attached some pictures here for your viewing pleasure only. Please ooh and aah appropriately in the comments-- we need some cheering up after the depletion of our bank accounts! 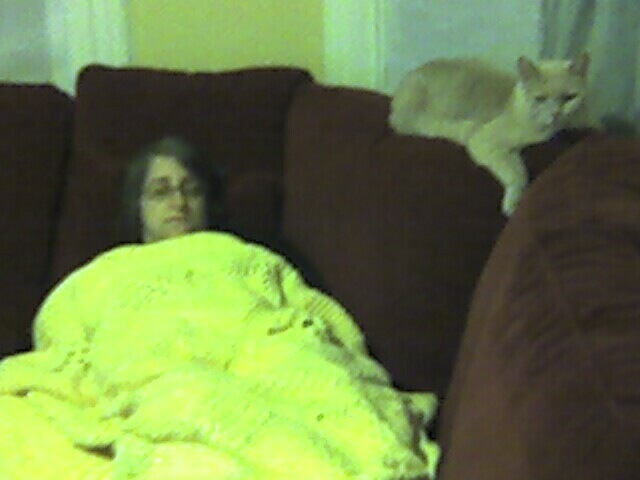 And here's Stephanie and Joey, luxuriating on the couch after a long day. I neglected to take into account in my previous calculations, the hourly wage of Stephanie being a layabout on the couch too (not to mention Joey) At this rate, it will have earned itself back in only 6 years! 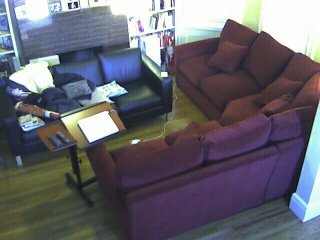 Comments on "The couch has arrived! And it's very comfortable."